Iridescent peacock colors make this classy short jacket glamorous enough for evening. 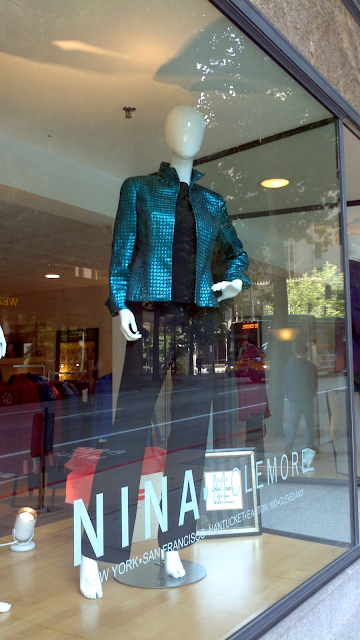 Spotted in the shop window of Nina McLemore in downtown Seattle. Note the turned-up collar, turn-back wing cuffs at bracelet length, and free opening. Very reminiscent of the 50s. Eye-catching fashion!